$0 Fraud Liability protection. You're not responsible for unauthorized charges you report to us. Chip Card Technology designed to make paying for your purchases more secure at chip-card terminals in the U.S. and abroad. 2. Offer subject to credit approval. 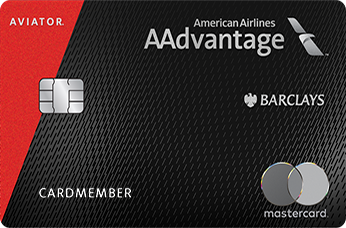 Not everyone will qualify for the AAdvantage® Aviator® Red World Elite Mastercard®. If at the time of your application you do not meet the credit criteria previously established for this offer, or the income you report is insufficient based on your obligations, we may not be able to open an account for you. This offer is available to new cardmembers only. The annual fee will automatically bill to your account within 6 weeks after approval of your application. For information about rates, fees, the annual fee, other costs, the rewards program information and benefits associated with the use of the credit card program, please see Terms & Conditions.